With all that sparkle and bling, it’s hardly surprising you have to go the extra mile to stand out in the fashion jewellery market. 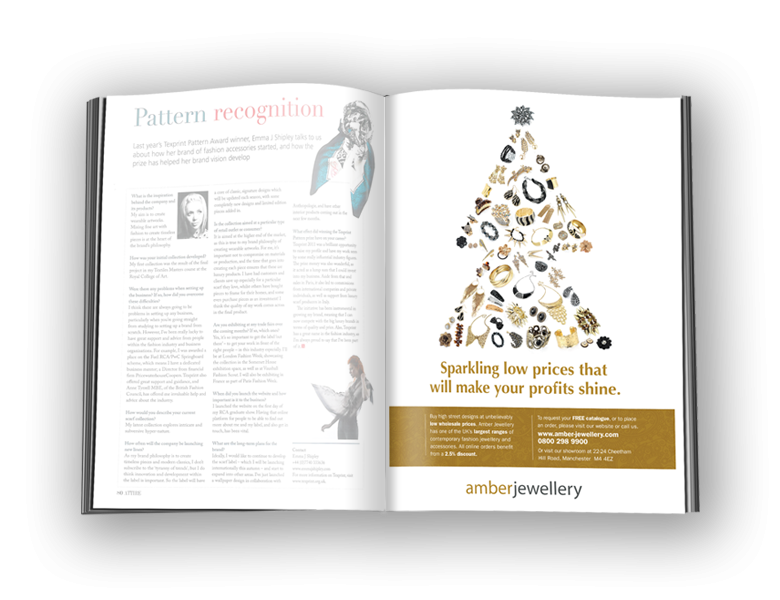 That’s exactly what Amber Jewellery tasked us with – shout about its massive range of products and make sure buyers know about the ‘diamond’ mark-ups that can be made. Solution: subtle, seasonal-shape designs, snappy copy and a no-nonsense call to action.